100% WOOL, HANDMADE AND HANDCUT PIANO COVERS. 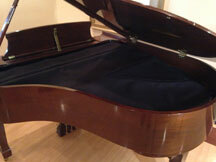 Five reasons why we recommend Dawson String Covers for your piano. 1. Dawson String Covers are 100% wool, proven the best material to protect the inside of your piano from temperature and humidity changes. It also hinders rust and corrosion of the crucial parts of your piano such as the strings, tuning pins, hitch pins and other crucial metal parts. 2. Dawson String Covers protect from dust which collects on the soundboard and strings and can dampen the tone and sound of your piano. 3. Dawson String Covers keep other objects such as pencils, paper clips, small pieces of paper, and animal hair from falling onto the sound board causing unusual noises and reduces the need for service calls by a piano technician. 4. Dawson String Covers absorb spilled liquids reducing possible damage to the interior of your piano. 5. Dawson String Covers protect your investment in your piano, increasing its life and the joy you and others derive from its beautiful sounds. To order a Dawson String Cover for your piano call Barbara Martin Piano and talk to Debbie. 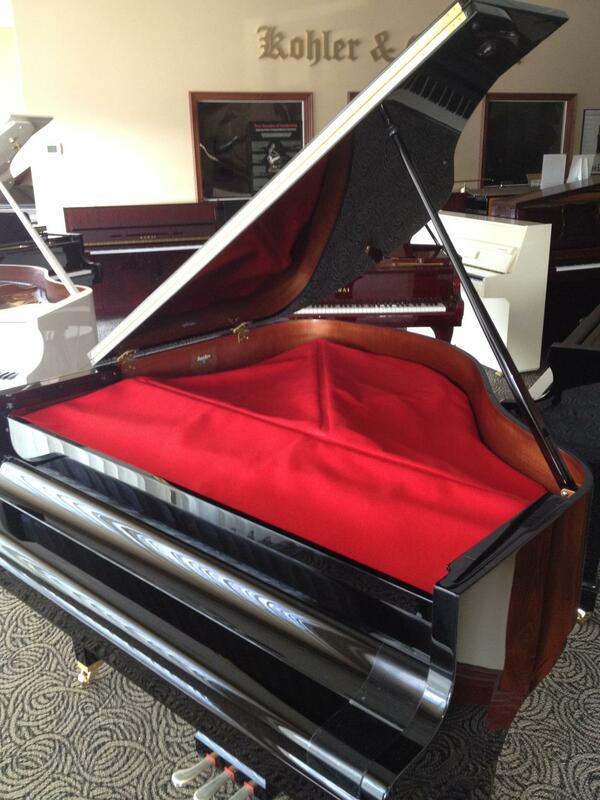 "Invest in the protection , life and joy of your piano today". — Buy a custom Dawson String Cover today and protect the investment in your piano. Black, Burgundy, Dark Brown, Medium Brown, Tan, Royal Blue, Medium Blue, White and Red (photo on left). You can specify type of decorative stitch (Feather or Greek Key) and also the color of thread (Gold, Blue, Red, Black or White). Single row stitching available. Also available without decorative stitching. 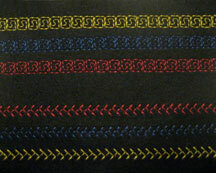 Decorative edge stitching sample shown on black (photo on left). Top 3 rows show Greek Key stitching, bottom 3 rows Feather stitching. — It is always important to have a professional tune your piano.